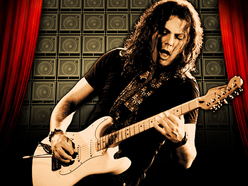 Anthony Gomes - Canadian Blues Strat-O-Brother! Anthony Gomes showed up on our Twitter Followers today, and we're more than happy to return the favor! Toronto born Gomes loves to work the crowd, and he's a real Strat guy. 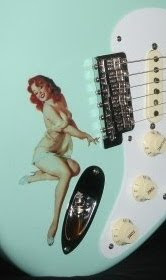 In fact, he also plays a white lefty Strat strung righty! Those who read this blog with any frequency, know I've been talkin' about this lately. All the cool lefty players seem to play righty guitars strung lefty, instead of just getting lefty guitars. So, I figure it's cool for us righty's to play leftys. It looks more aerodynamic, and has a Jimi vibe, right! Anyway, we were talkin' about Anthony Gomes. Well, watch the video, from just last month at a Blues fest in Quebec.